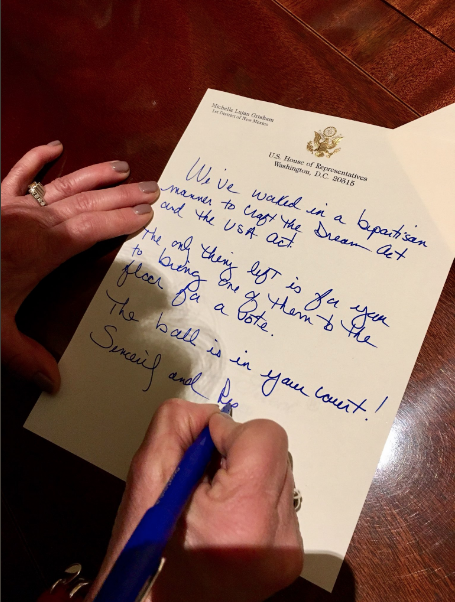 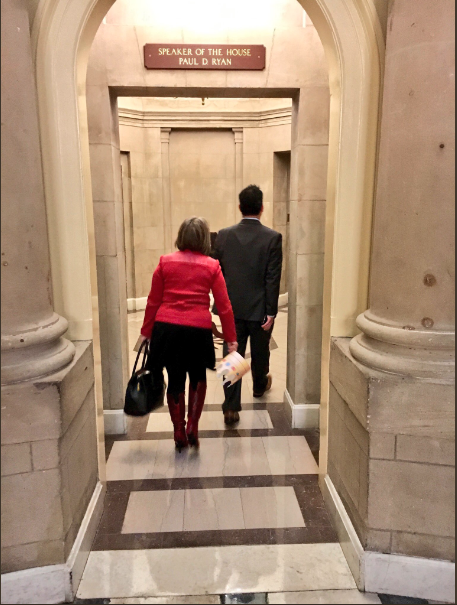 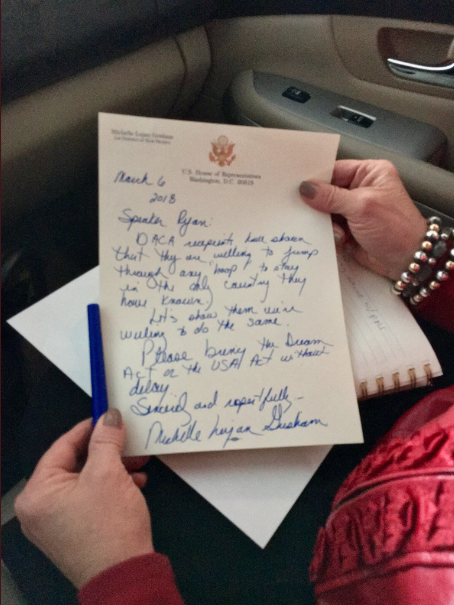 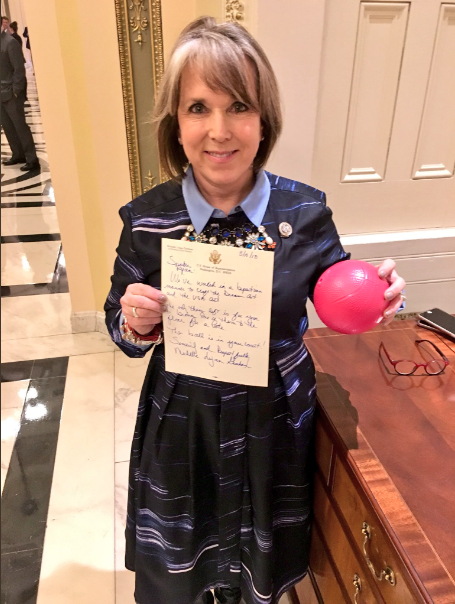 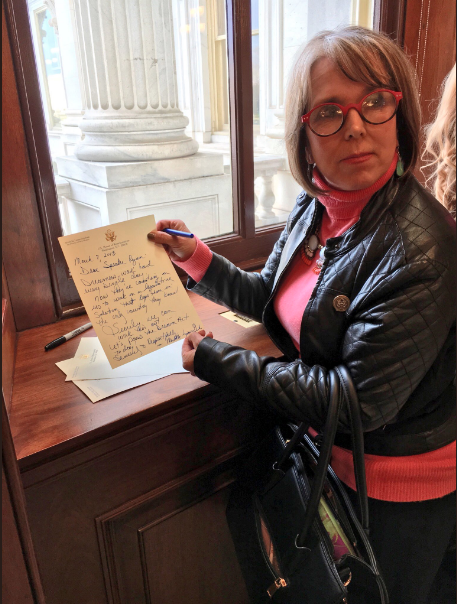 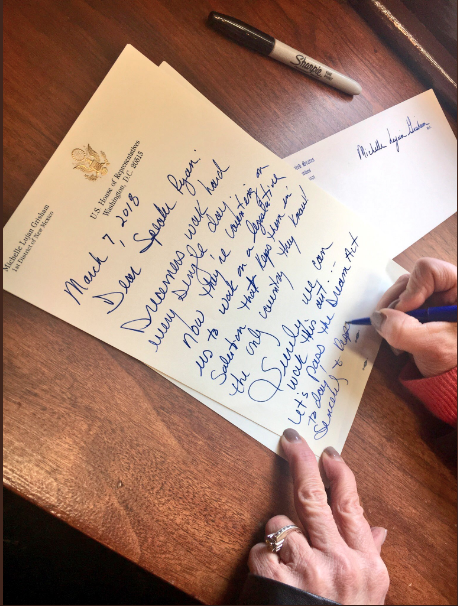 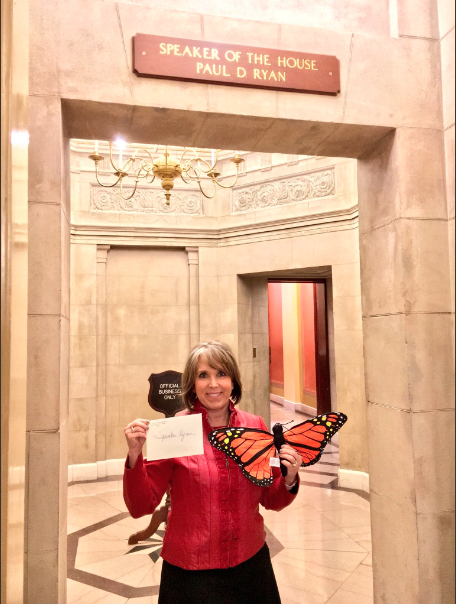 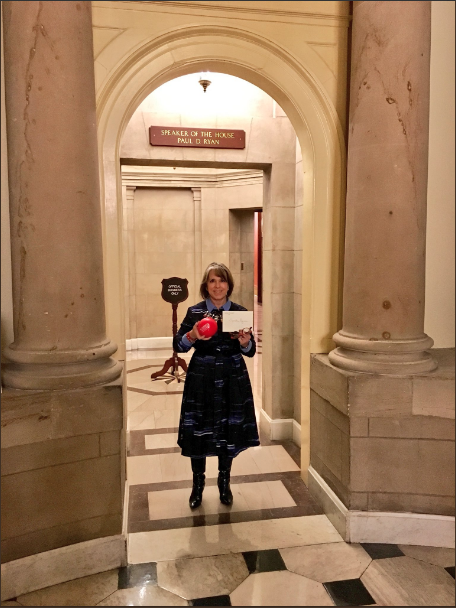 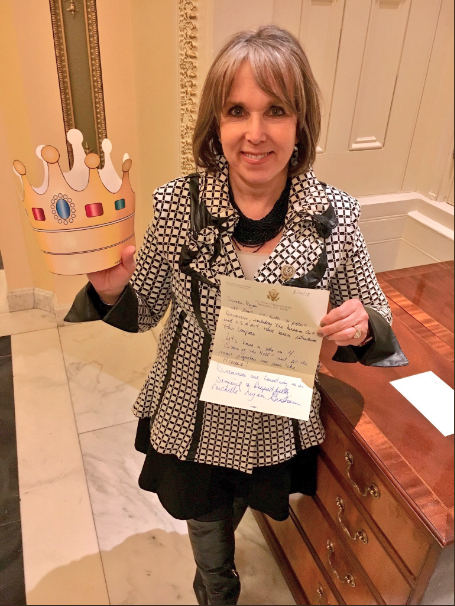 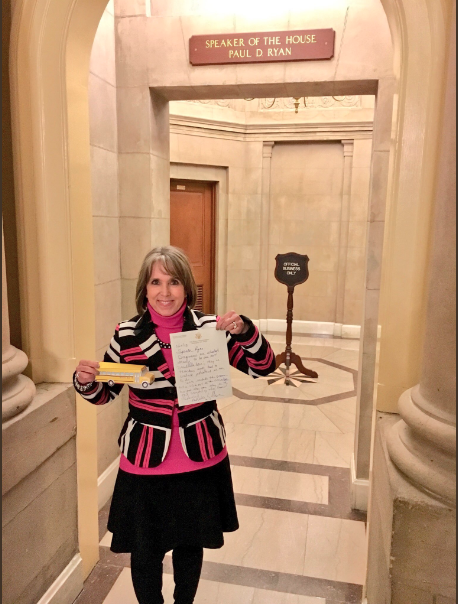 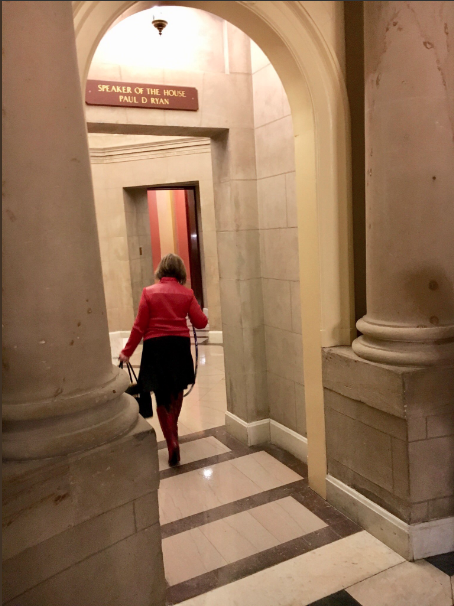 "You and I, let’s get this done", has been the motto of the representative of the 1st Congressional District of New Mexico, Michelle Luján Grisham, when trying, by all means, to convince the Speaker of the House of Representatives, the Republican Paul Ryan, to find a solution for DACA. 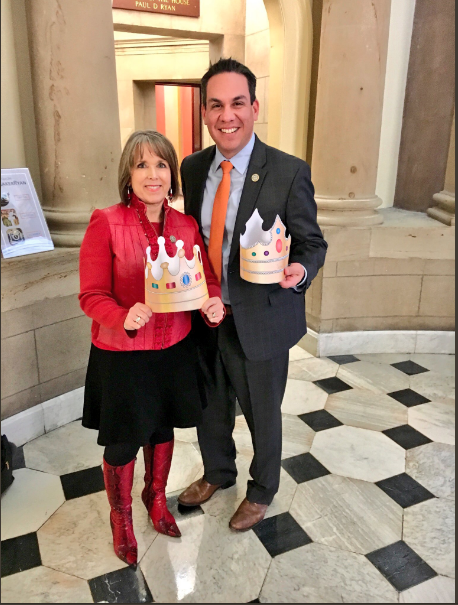 Let’s stop horsing around and get to work on passing a bill that gives #Dreamers a path to citizenship. 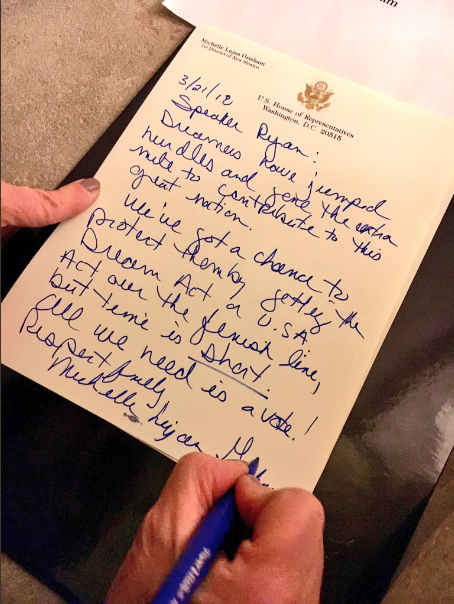 All we’re asking is for you to give us a vote on the #DreamAct or #USAact. 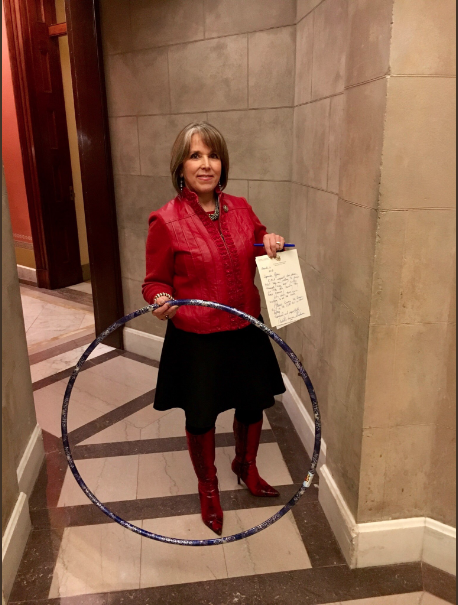 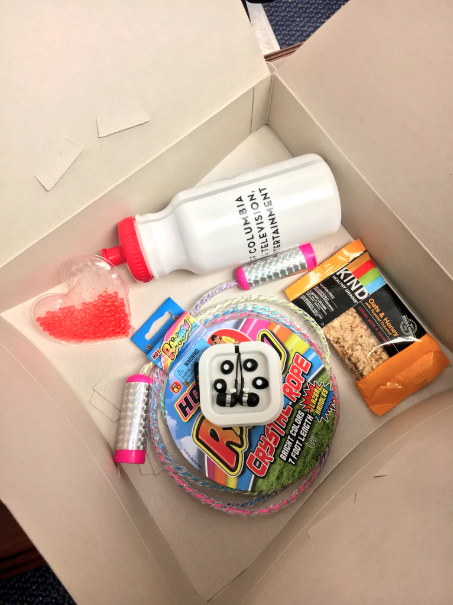 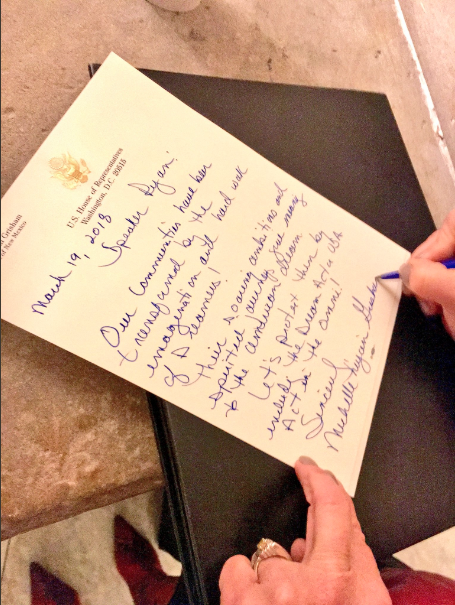 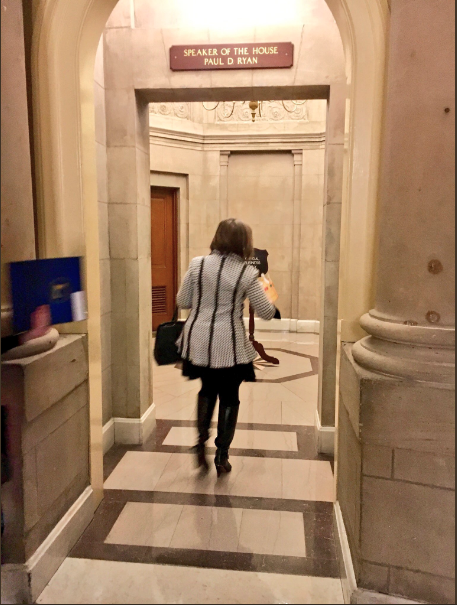 Hula-Hoops, ground coffee, piñatas and toy buses, mugs, and photos, are just some of the symbolic "gifts" the Representative has delivered in Ryan's office along with countless handwritten notes to remind him every day of the importance of solving the current situation of the so-called Dreamers. 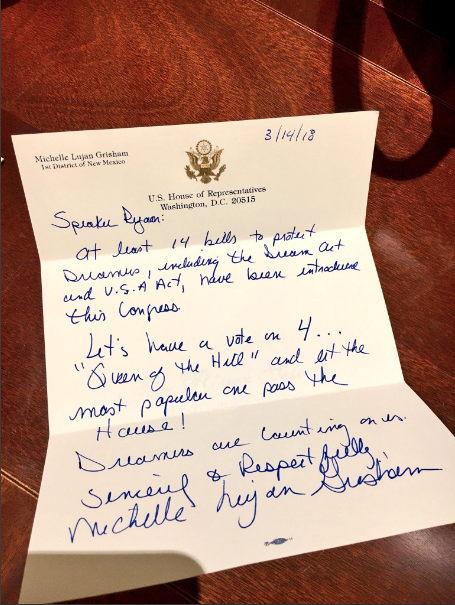 After the expiration of the term imposed by President Trump on Congress to solve the situation of hundreds of young people who arrived in the country without documents when they were children (Dreamers), both Lujan and the Hispanic Caucus have closed ranks in their unconditional support, and have urged Republican leaders and President Trump "to work with us on a fair, permanent and bipartisan proposal that protects Dreamers and that can pass both the House and the Senate." 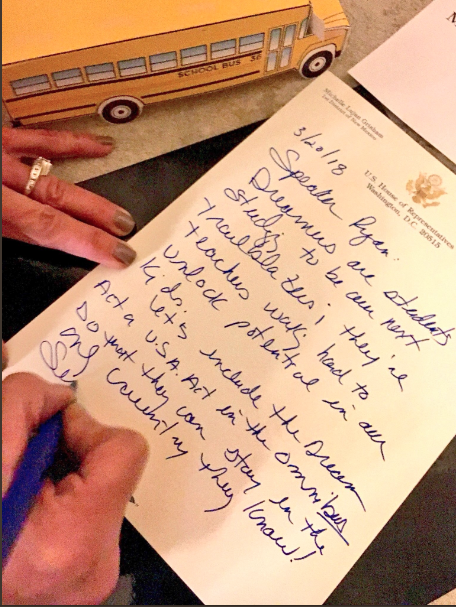 Despite the forgetfulness of the Congress and the approval of the Omnibus that completely ignored the urgency of these young people, this representative has promised never to forget.